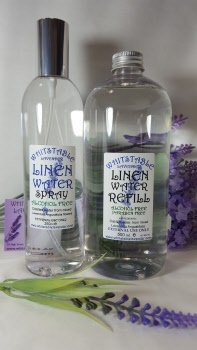 a) Spray lavender linen water before ironing or on bedding, to add a great scent. 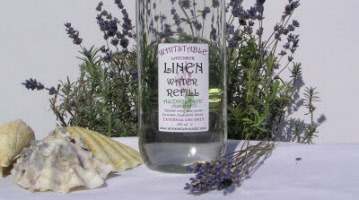 b) Spray lavender pillow water on pillows for a smoothing relaxing sleep. c) Spray lavender foot spray onto tired and aching feet for soothing relief . d) Add a few ml to your foot bath water. e) Add a few ml to the final laundry rinse water. f) Add along with oil, to burner, it will scent the house. g) Add a drop to a static cloth or wash cloth to scent clothes in the dryer. H) Spray a fine mist into air or over carpets for a general scent.